Breastfeeding is the preferred method for feeding a child under the age of 6 months. Use our breastfeeding tips to make sure your baby is being fed perfectly. Not sure how to increase breast milk production? 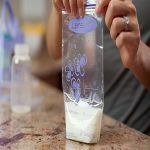 Try the 6 scientific and effective tricks to help new mothers provide more breast milk to their growing babies. 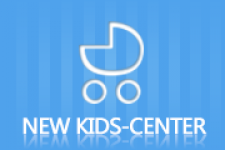 Breastmilk storage guidelines help new mothers and care facilities store this vital nourishment source for babies. Following these guidelines strictly will ensure high quality milk and safe consumption for infants. Want to lose weight after delivery – even if you are breastfeeding? Learn tips about breastfeeding and weight loss to facilitate safe weight loss. Breastmilk storage ensures your baby nutrition for growth with continuous breastfeeding. 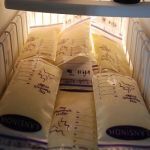 Breastmilk storage procedure in this article can be your perfect first step. There is an age-old controversy about breastfeeding vs. formula feeding. Learn the basics of each so that you know breastfeeding and formula feeding better. Breastfeeding mothers can lose weight faster. How to lose weight while breastfeeding in a safe way? Learn our 6 tricks and 4 dietary tips! A baby's poo will change as time passes due to change in eating habits, but parents should always be vigilant about breastfed babies' poop just in case something goes wrong. Mothers worry when baby chokes when breastfeeding. Infant choking while breastfeeding is usually caused by improper nursing position. Learn how to solve this problem.